H Subaru παρουσίασε στη Γενεύη το νέο MPV της για την Ευρωπαϊκή αγορά, Trezia. 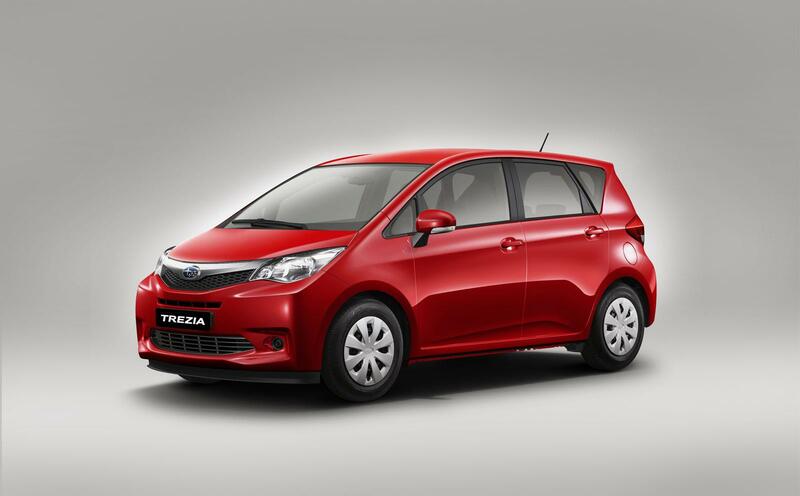 Στην ουσία πρόκειται για το Toyota Verso S, το οποίο φορά τα σήματα της Subaru και διαθέτει νέα γρίλια και επανασχεδιασμένα φωτιστικά σώματα μπροστά και πίσω. Στο εσωτερικό του ξεχωρίζουν το δίχρωμο ταμπλό, το τριάκτινο τιμόνι με τα πίσω καθίσματα να αναδιπλώνονται σε αναλογία 60:40 με τον χώρο τον αποσκευών να αγγίζει τα 1.388 λίτρα. Κάτω από το καπό υπάρχουν 2 διαθέσιμοι κινητήρες. Ο 1300αρης βενζίνης απόδοσης 98 ίππων με 126 Nm ροπής που συνδυάζεται με ένα 6-τάχυτο χειροκίνητο κιβώτιο. Έχει μέση κατανάλωση 5.5 λίτρα/100 χλμ και εκπέμπει 127 γρ/χλμ CO2. Ο δεύτερος κινητήρας είναι πετρελαίου, 1400cc απόδοσης 91 ίππων με 205 Nm ροπής και συνδυάζεται και αυτός με ένα 6-τάχυτο χειροκίνητο κιβώτιο με την μέση κατανάλωση να ανέρχεται στα 4.3 λίτρα/100 χλμ και εκπέμπει 113 γρ/χλμ CO2. Στο έξτρα εξοπλισμό υπάρχει αυτόματο κιβώτιο, δερμάτινες επενδύσεις, θερμαινόμενα καθίσματα, σύστημα πλοήγησης και άλλα. 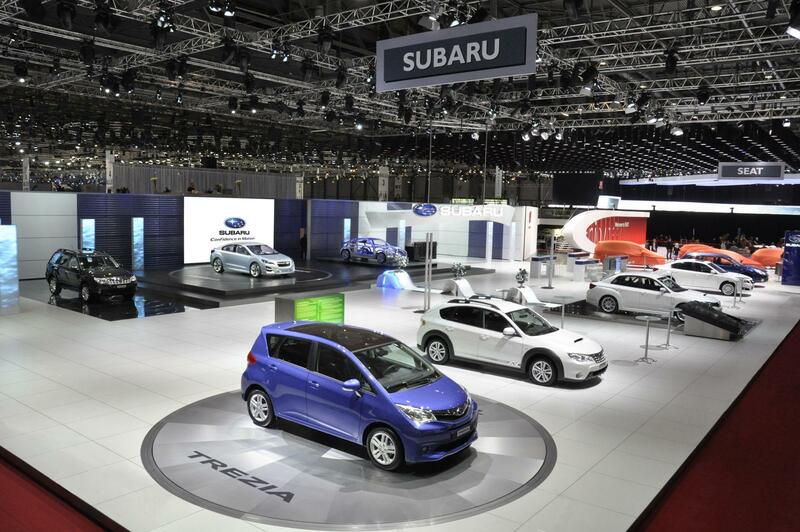 The Trezia represents a proposal of new value from Subaru in the expanding market for compact cars (Segment B) in the European market, where there is an increasing demand for cars with superior environmental friendliness. 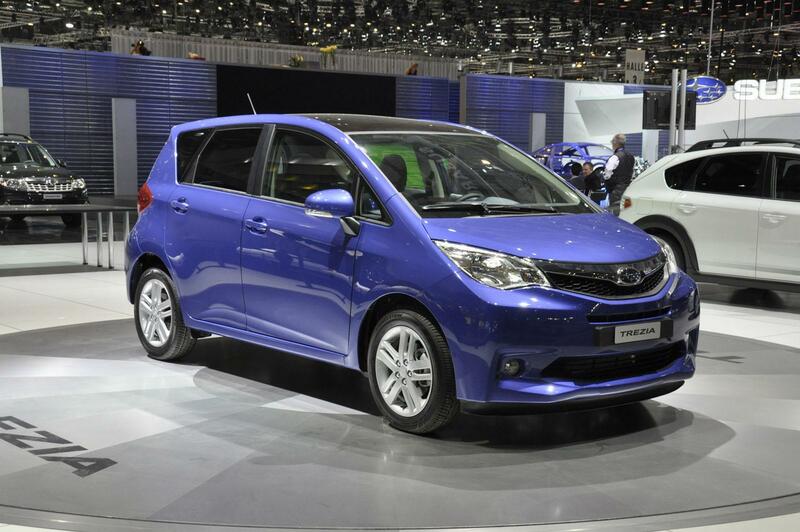 The key phrase for this product is “New Compact Smart Wagon”. 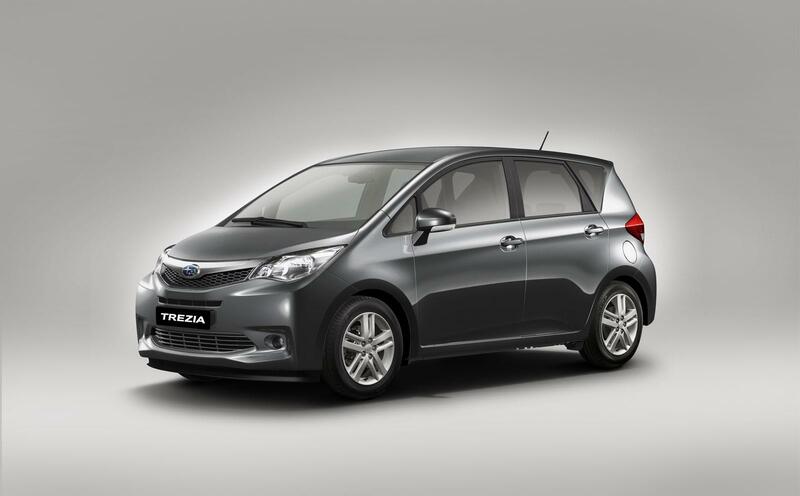 This touring compact car provides the benefits of the Subaru wagon-style in an overall body size less than 4 meters in length. 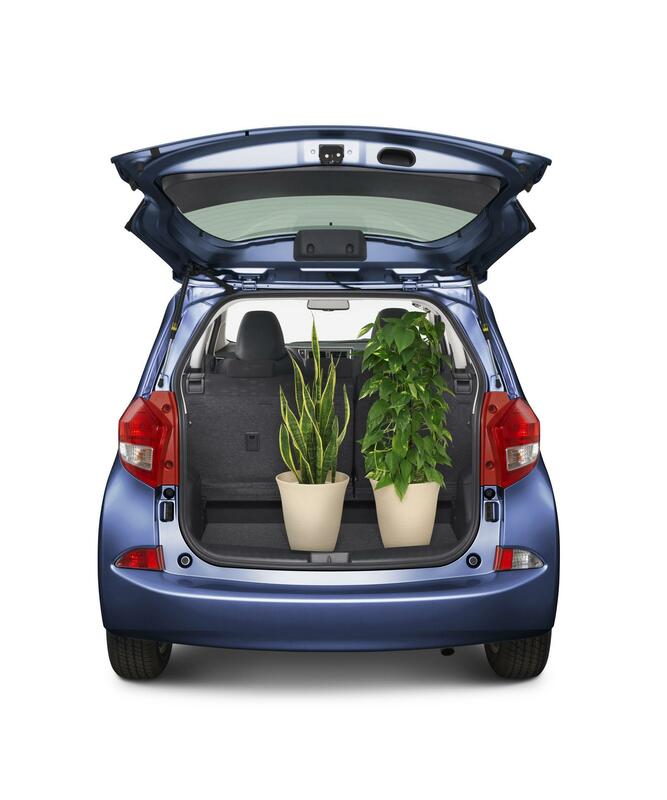 This model addresses a variety of needs in compact cars, from the strong presence of the exterior, to the highly efficient package that allows a roomy, good quality interior and easy-to-use utility space, as well as the superior environmental friendliness and highly responsive driving performance that are demanded in today’s world. The name Trezia was coined from the English word “treasure”, and refers to a “collection of valuable and irreplaceable experiences”. Trezia: Design The strong, solid exterior is achieved through the long, streamlined form that creates the image of a roomy interior, and the stable proportions with the tires in the four corners emphasizing strong driving performance. Further, the interior features high quality, expressive surfaces and textures, and a functional area that provides both roominess and utility space. Exterior Design ? 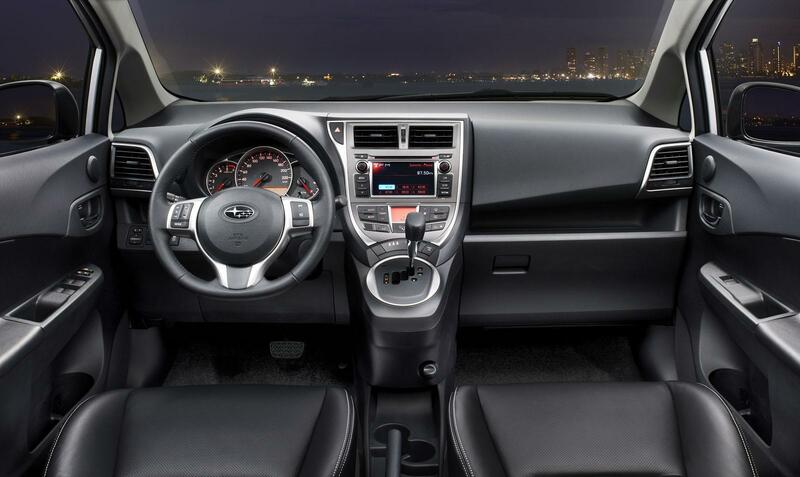 The front features a grille with a wing motif centered around a cluster of six stars (the Subaru emblem), as well as a sturdy bumper molding that expands left and right, culminating in an overall design that is easily recognized as part of the Subaru family. ? The length of the sides is emphasized by the streamlined form continuing from the front fenders to the roof end, and the character line extending from the front fenders to the rear combination lamps. ? The rear silhouette is shaped like a trapezoid, combined with the side basic character line to provide the appearance of a low center of gravity and stability. In addition, the rear gate garnish features the same plated motif as the front grille for a high-quality appearance. ? 16-inch wheels are standard on upper grades (1.3i-L, 1.4D-L, 1.4D-S). The sharp,5-spoke type provides a sporty look. ? A choice of five body colors will be offered: “Super Red”, “Silver Metallic”, “Satin Blue Metallic Mica”, “Black Mica”, and “Gray Metallic”. Interior Design ? 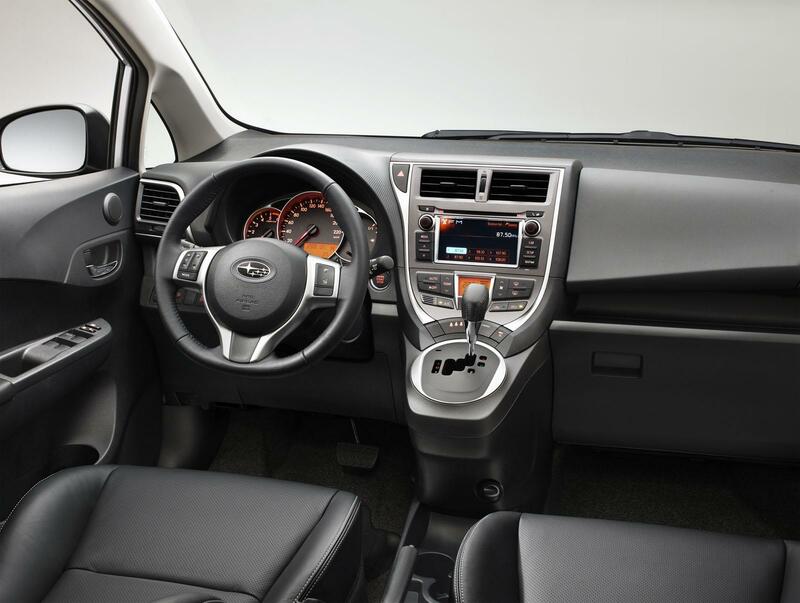 The instrument panel is composed of an upper and lower level that flow continuously into the door trim for a roomy and clean interior with no wasted space. ? The combination of the integrated meter hood and center cluster with the three-dimensional, high-quality metallic accents creates the image of a cockpit. ? The different texture patterns on the instrument panel and upper portion of the door trim and the texturing that emphasizes the changing profile on the center cluster provide a high-quality appearance. ? The triple meter featuring a large speedometer in the middle and the multi-information display for outside temperature, fuel consumption, and other important information offer an enjoyable drive. ? 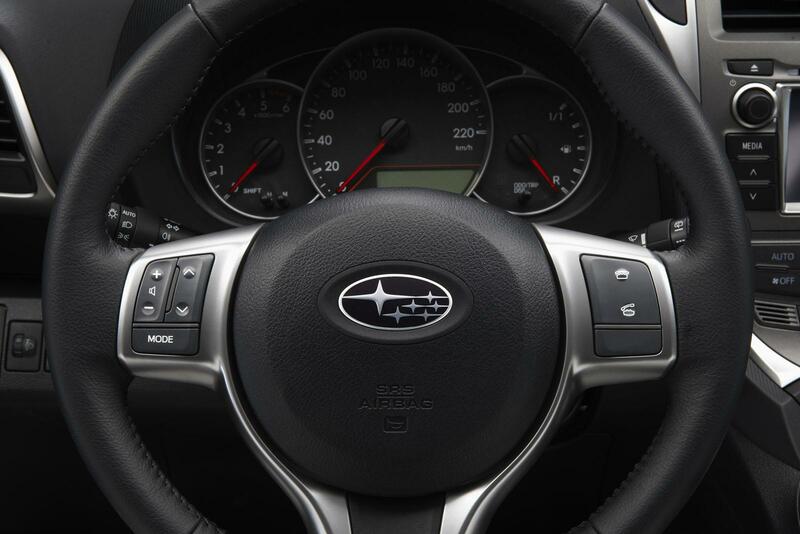 A functional 3-spoke steering wheel is featured. 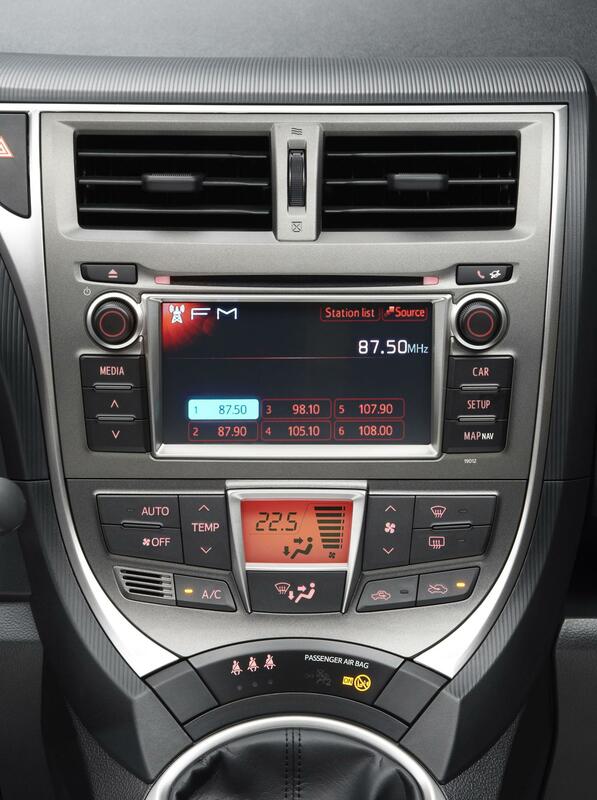 The upper grade 1.4D-S features audio switches and hands-free telephone functionality directly on the steering wheel. 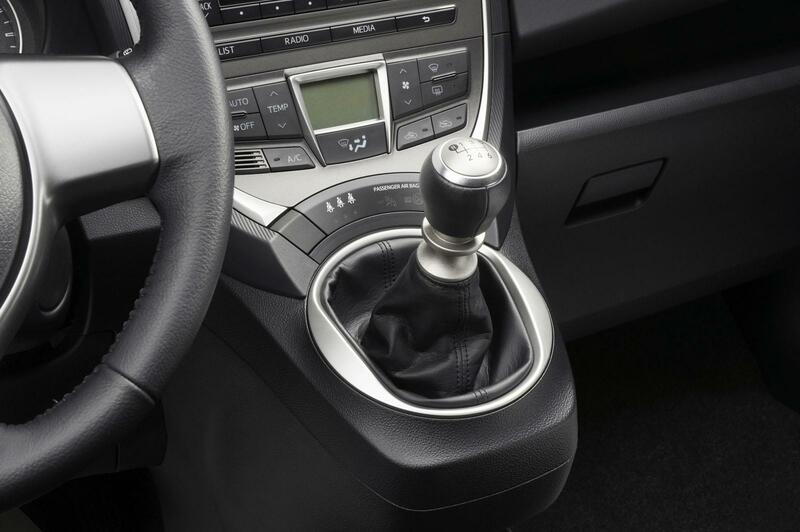 In addition, paddle shifters are available on 6-speed multi-mode manual transmission models. A leather covered steering wheel and shift knob come standard on 1.3i-L, 1.4D-L, and 1.4D-S models. Trezia: Package and Utility Despite a compact body of 3,995 mm in overall length, this highly-efficient package allows both a roomy interior and easy-to-use wagon utility space.
? The roomy interior features an internal length of 1,875 mm*1, an internal width of 1,420 mm*1, and an internal height of 1,310 mm*1. The hip point of the front seats is set at approximately 610 mm*1, for a good boarding height. ? 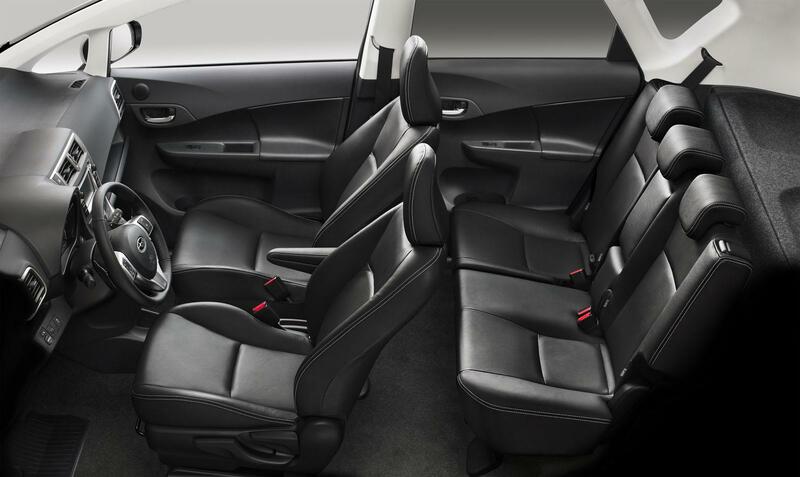 The 60/40 (left/right) folding rear seats allow a variety of seat arrangements. In addition, folding levers can be operated to easily fold down the seats with a single touch. 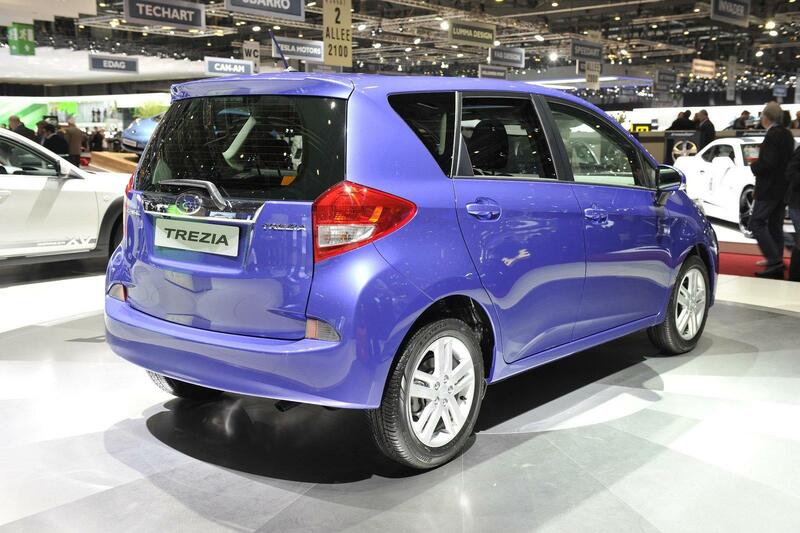 Trezia: Power unit Two types of engine are available: a 1.3-litre petrol engine and a 1.4-litre turbo diesel engine. The 1.3-litre DOHC naturally-aspirated petrol engine achieves both low fuel consumption and high output through the use of an intake/exhaust continuously-variable valve timing mechanism and an electronic throttle control system. 6-manual transmission is only available with this engine. 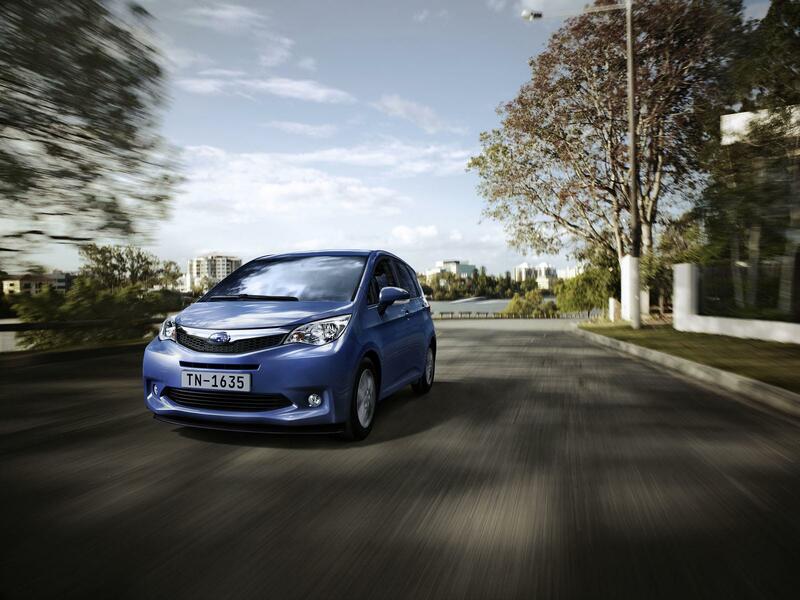 It delivers fuel consumption of 5.5 lit./100 km (combined) and CO2 emissions of 127 g/km (combined). ? The 1.4-litre turbo diesel engine achieves excellent environmental friendliness as well as the torque expected from a diesel engine. 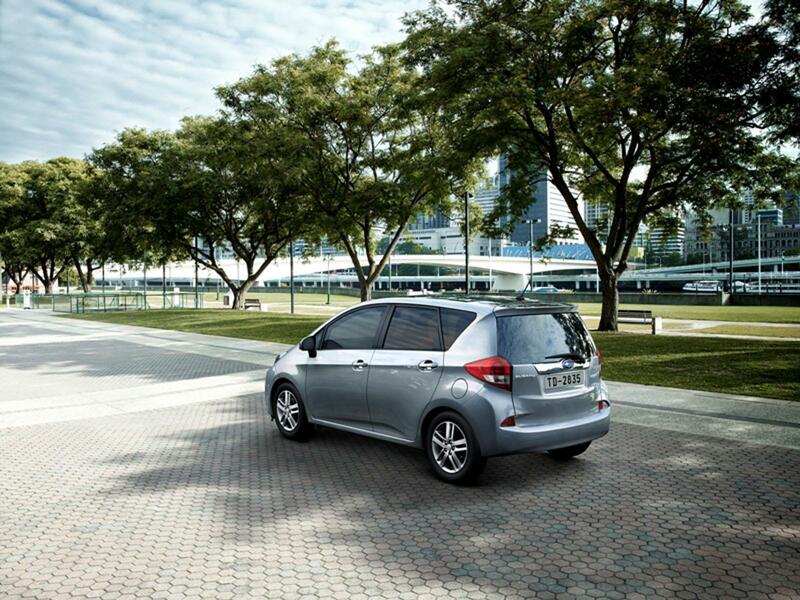 The engine comes with 6-manual transmission on all diesel models. 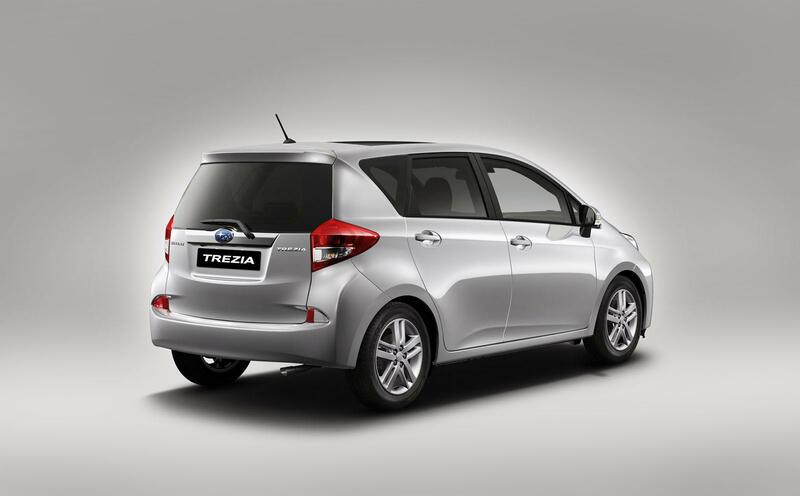 It delivers fuel consumption of 4.3 lit./100 km (combined) and CO2 emissions of 113 g/km (combined) on the 1.4 D model. ? Upper grade diesel models (1.4 D-L and 1.4 D-S) feature a 6-speed multi-mode manual transmission (M-MT). In addition to superior fuel efficiency and ease-of-use in actual driving conditions, the addition of paddle shifters provides the enjoyment of a sportier driving experience. 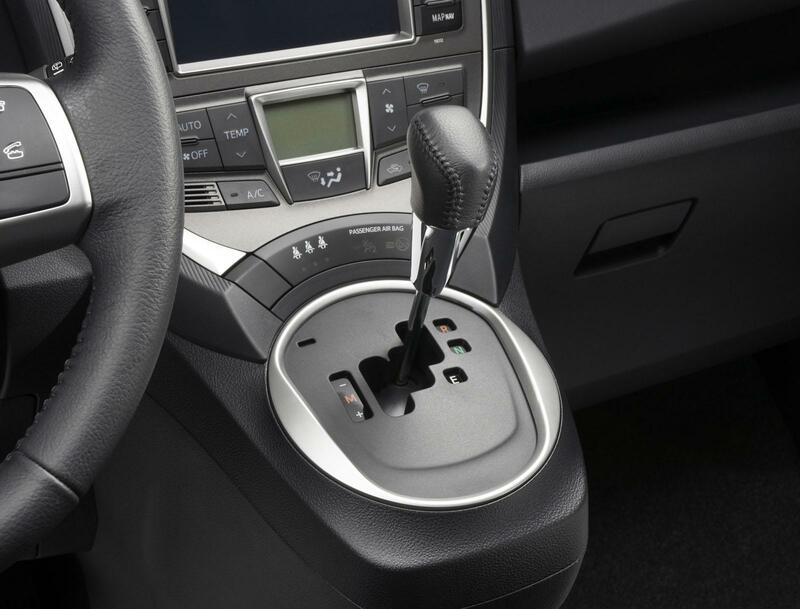 M-MT models feature the addition of an electric motor actuator to a normal manual transmission for automatic operation of the clutch, allowing a 2-pedal design. 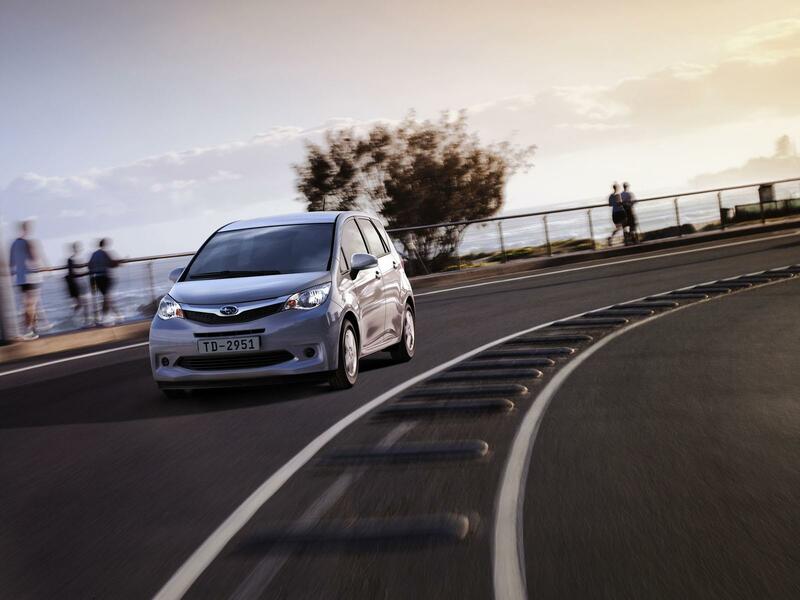 In automatic shift mode, a fuel-efficient engine speed is selected automatically, while manual mode allows the driver to enjoy the sporty and direct driving performance possible only with manual transmission. 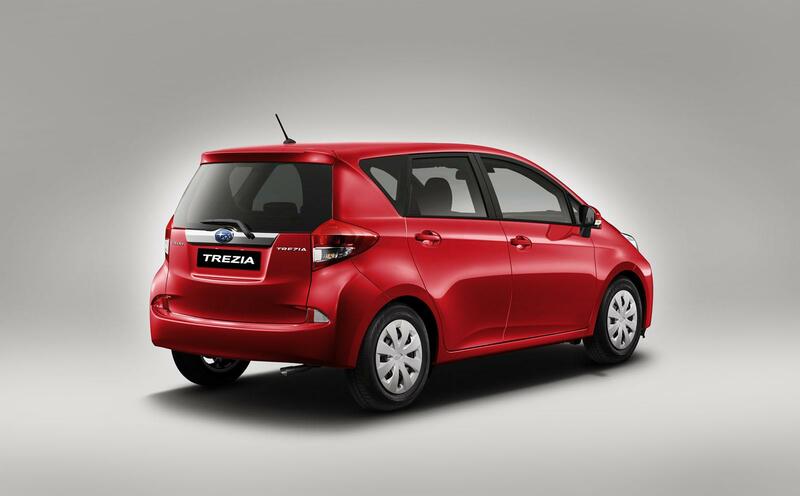 Trezia: Safety performance ? In order to increase the amount of energy absorbed in a head-on collision, a body structure that disperses energy throughout most of the components and a strong body frame have been used to prevent deformation of the cabin. In a side-impact collision, deformation of the center pillar is controlled to maintain a high level of safety performance. ? The structure is designed to reduce damage to pedestrian head and legs in case of a collision. ? 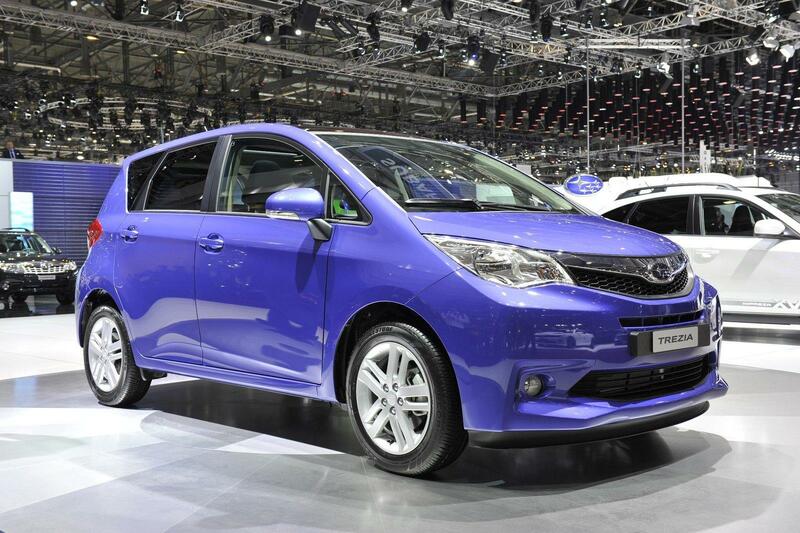 Front dual (driver and passenger sides) SRS air bags, side SRS air bags & curtain air bags are standard on all models. In addition, on all models, knee airbags are standard on the driver’s side only. ? 3-point ELR seatbelts with pretensioners and load limiters are standard on driver and passenger sides. 3-point ELR seatbelts are standard on rear seats. SRS = Supplemental Restraint System. Effective when used in conjunction with seatbelts. Trezia: Other features ? Powered folding door mirrors with side turn signals (all models) ? Roof spoiler integrated into the body (all models) ? Telescopic steering wheel (standard on 1.3i-L, 1.4D-L, and 1.4D-S models) ? Front fog lights built into the bumper (standard on 1.3i-L, 1.4D-L, and 1.4D-S models) ? Keyless access & push button start (standard on 1.4D-S models) ? 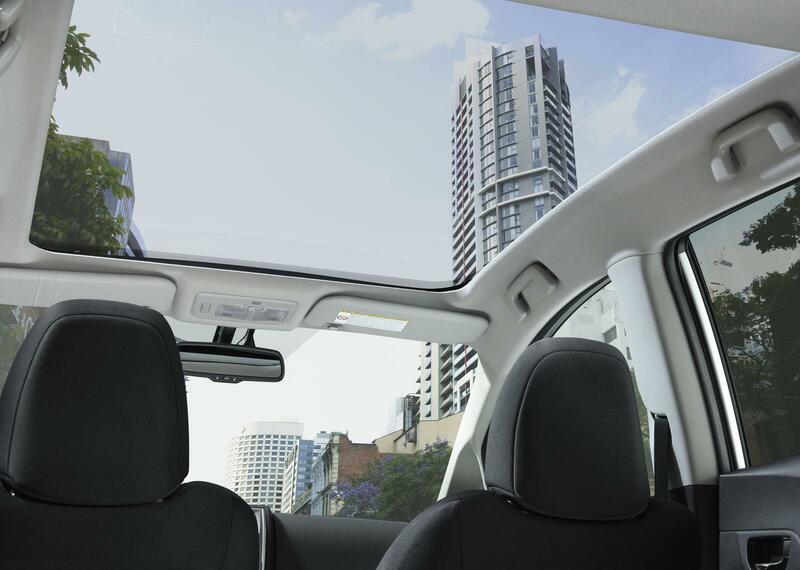 Largest panoramic glass sunroof in class*2. A powered roller sun shade is also available. (optional on 1.4D-S model) ? 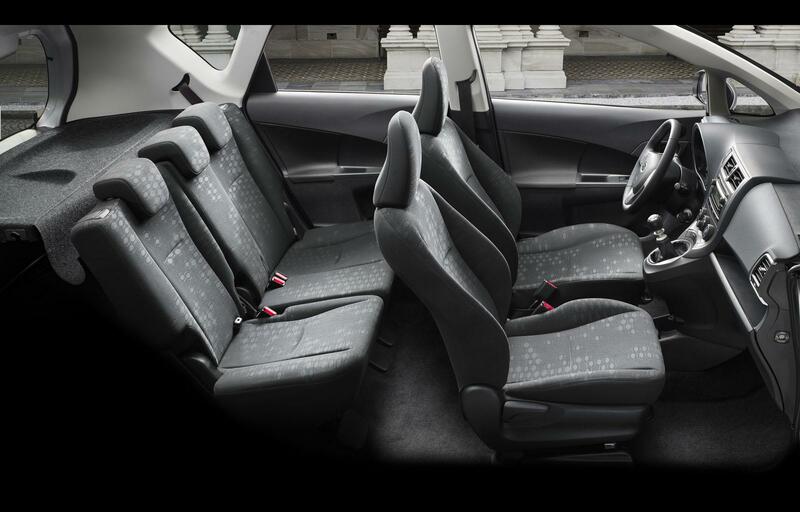 Leather seats with built-in heaters (optional on 1.4D-S model) ? Display-type audio comes standard on 1.4D-S models.